Corrigan’s Mayfair is currently showcasing a Lost and Forgotten dishes bar menu which celebrates some lost and forgotten British ingredients. Similar to the Spice Menu that I tried at Corrigan’s Mayfair the last time I was there, these dishes lie midway between a starter and main course size, is great for sharing and very affordably priced. You eat at the bar, and three, five, seven and nine dishes cost £25, £35, £45 and £55 respectively. 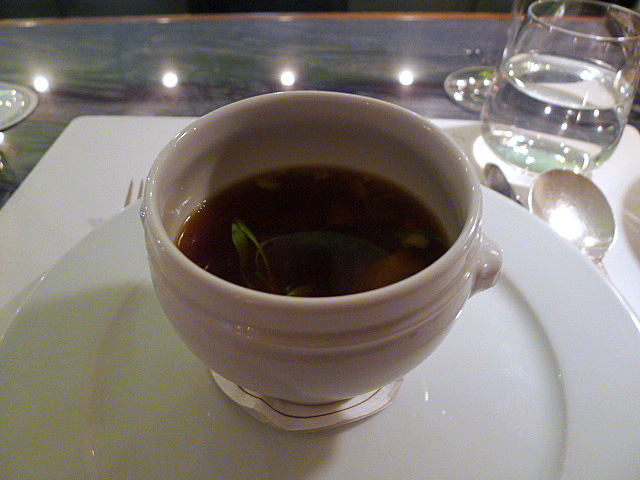 We tried the entire menu, starting with Lord Lurgan’s Broth which featured on the Spice Menu also. The recipe for this broth is one that Richard Corrigan found in an old cookery book and has long been forgotten. The broth was beautifully clear and intense with flavour, and there was a smokiness coming through from the use of smoked chicken wings in its cooking. The addition of Grade A basmati rice added texture to the dish. Squirrel, a rarely featured produce, was plated as a ballotine and a parfait and served with fruits and nuts. 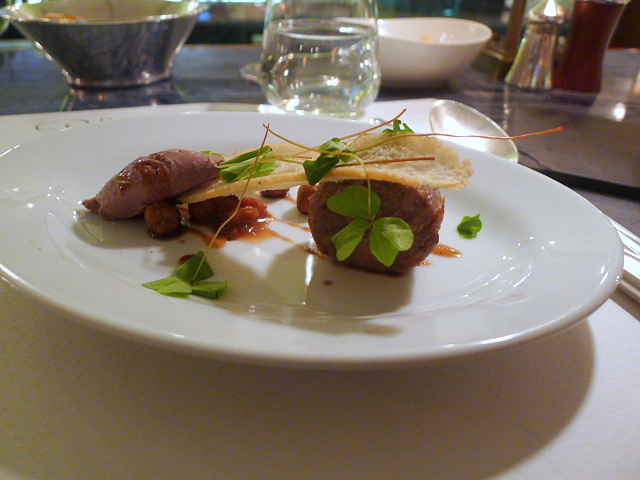 The ballotine was wonderfully tender and flavoursome and the parfait was deliciously creamy. The fruits added acidity, and the nuts added crunchiness, but I also thought the dish incredibly clever with its play on squirrel and nuts. Smoked eel served with coddled eggs was a delight. The eel had been delicately smoked and was gloriously tasty. 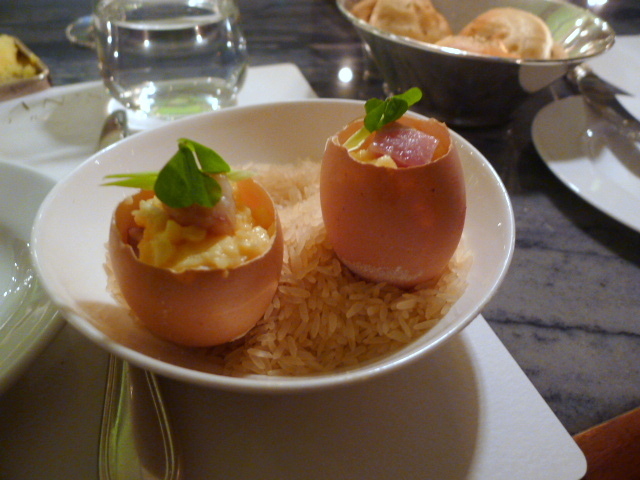 The eggs, with its creamy delicate texture worked well with the eel to balance out its oily richness. 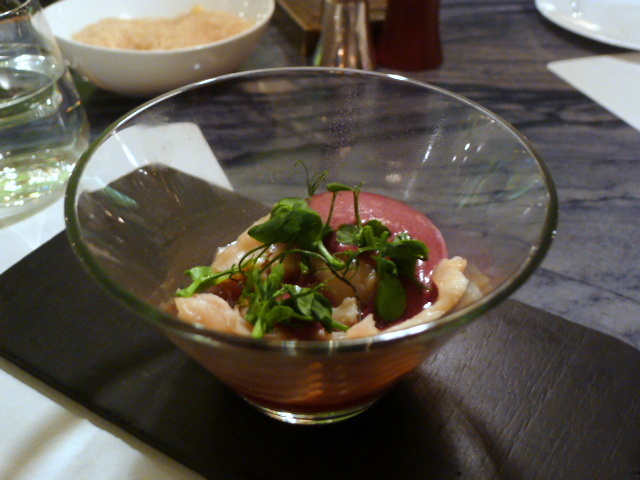 Less successful was a dish of wild salmon with sloe gin jelly. The salmon was fresh and tasty, but the tartness of the jelly was too sharp against the subtlety of the fish. Some savoury overtones could have been thrown into the mix to better balance the flavours. 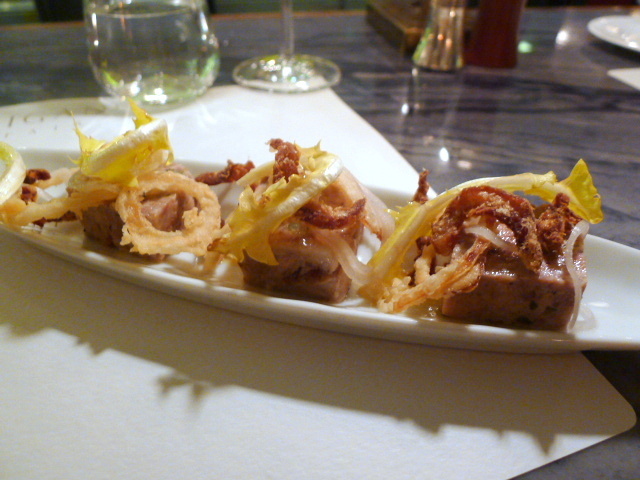 Salad of crispy pig’s ears with brawn was rich with flavour. The brawn was well judged so as to maximum on flavour without being too overpowering. The crispy ears added a crunchy element to the dish. 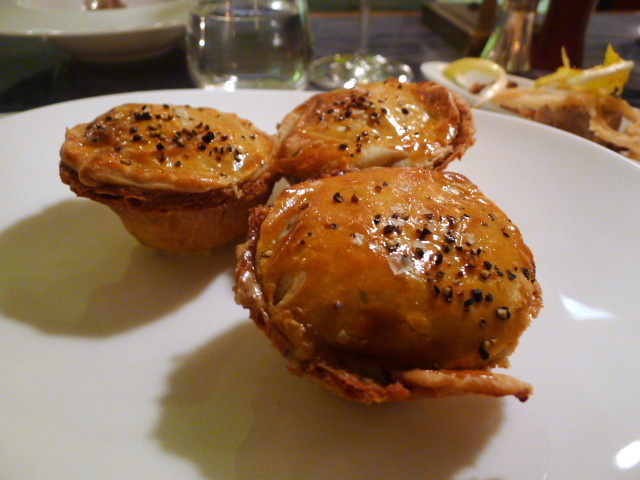 A stargary pie containing pilchard, a cross between sardines and anchovies, could have been quite overpowering. Instead the creamy sauce in which it was cooked in created a tasty and well judged filling. The pastry was also brilliantly made, flaky and stunningly delicious. 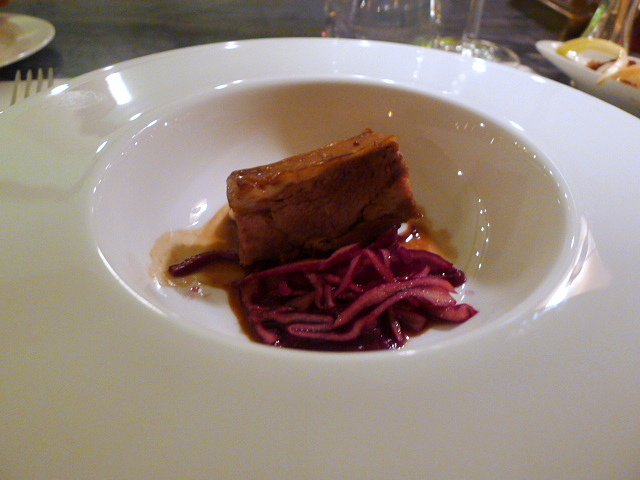 Hardwick shoulder of mutton was beautifully cooked and very tender. The use of a buttermilk as an accompaniment added a gentle hint of acidic contrast, and Shetland red cabbage coleslaw was naturally sweet and worked well with the mutton. Beremeal cookie with a beremeal and honey ice cream was wonderful. Beremeal is a type of flour that is rarely used and has an earthy nuttiness to it which was lovely. The honey in the ice cream gave the ice cream a luxurious quality which was highly enjoyable. 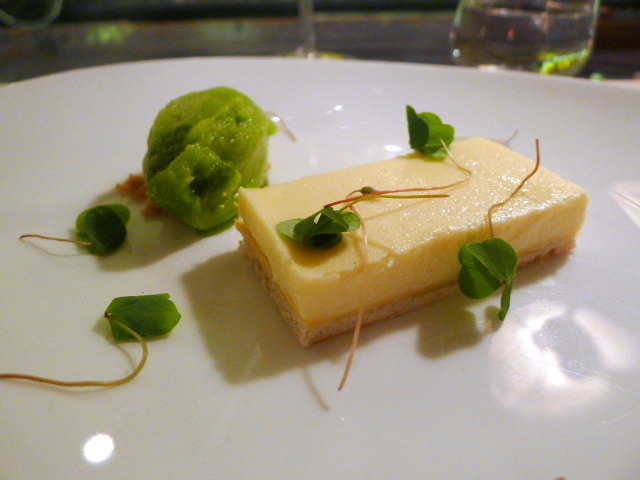 A lemon and goat’s curd tart was creamy, sweet with a perfectly judged level of lemony zing. The sorrel sorbet, with its lemony overtones was a wonderful accompaniment for the tart. The barman recommended a 2011 Chateau de la Mirande Picpoul de Pinet, Languedoc to go with a meal which worked very well with our dinner. 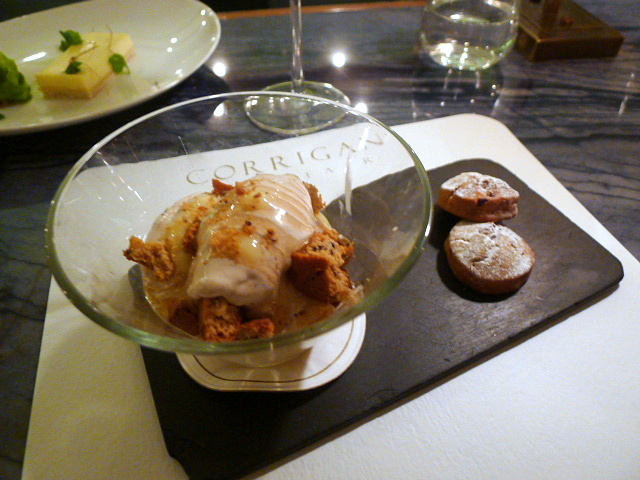 This was another fabulous bar menu from Corrigan. The cooking was highly accomplished, and the use of some uncommon ingredients was well thought out and clever. An excellent and very well priced meal. Price range: Three, five, seven and nine dishes from the Lost and Forgotten Menu cost £25, £35, £45 and £55 respectively. Excludes drinks and service.